The 10th anniversary of Queen Sheba Alumni Seattle Chapter’s Conference was opened on July 2nd with a welcoming speech by Memher Solomon Welde Aregay. There were close to 200 people present in the Conference Hall, among who were many distinguished guests that travelled great distances from various parts of the world, including Mayor of Adua, Aite Araya Mereid, and Aite G/Egizabeher Tesfahuney, the former Director of Atse Yohannes High School; both had travelled all the way from Ethiopia. Also present at the meeting were Dr. Yetbarek G/Egziabher, W/ro Mizan Gezehagn, Prof. Desta Asayahegn, Dr. Elias Siraj, and many other prominent scholars, scientists, doctors, and Engineers that Queen Sheba School had produced over the years and who came from all over the United States and Canada. There was even a participant from as far away as Germany. 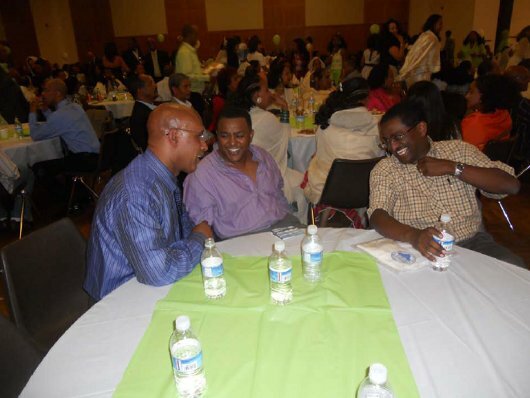 The Conference was not only a 10th anniversary celebration of Seattle’s Queen Sheba Alumni Chapter but also the launching of Queen Sheba School International Alumni. 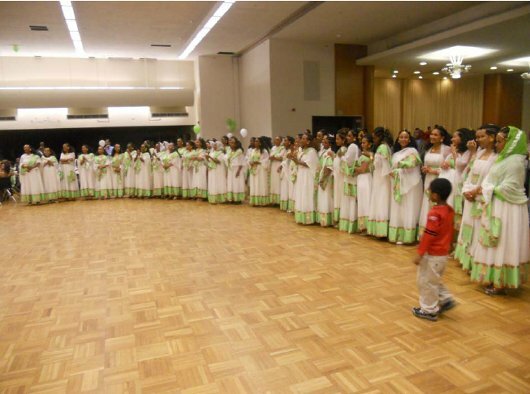 It was all the result of more than a year of careful planning and hard work by the Seattle Chapter and the Ad-hock Committee of Queen Sheba School International Alumni, QSSIA. The Committee was set up after a nationwide phone Conference held in April of 2009. At that Conference many expressed their frustration due to the fragmentation of the Alumni, where each Chapter was trying to do the same thing and kept reinventing the wheel. And some suggested that an International Alumni should be created and organized to coordinate the work of the Chapters, unify their effort, and make them more effective. It was also disclosed at the Conference that plans were afoot to demolish Queen Sheba Elementary School and build a shopping center there. Soon after that phone conference a monthly meeting was initiated and some ten to fifteen Ad-hock Committee members started getting together to discuss ways and means of achieving the suggested plans and of creating Queen Sheba International Alumni. The first order of business however was to save the school from being demolished. A petition campaign was successfully mounted and within a few weeks over three hundred signatures gathered from a worldwide audience. 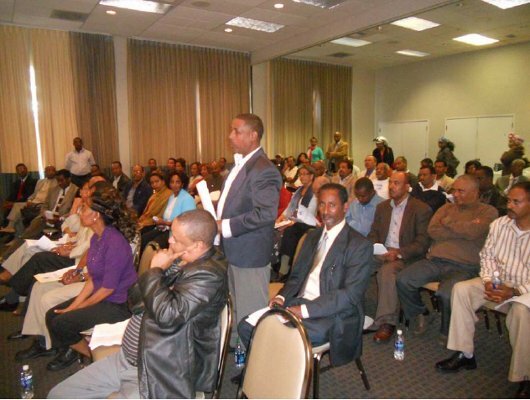 The petitions along with accompanying letters were sent to PM Meles Zenawi and prominent government officials in Tigray, and to the Adwa Administration. The Ad-hock Committee then labored in the drafting of Bylaws that would bind each and every Queen Sheba Branch together under the International Alumni banner. The draft was based on various Bylaws obtained from several Queen Sheba Branches in the US as well as from the one in Ethiopia. The Committee also created a Logo that would capture the spirit of Queen Sheba and chose Seattle to be the host for launching the International Alumni. Invitations were then sent out for the event. All these are the accomplishments of the Ad-hock Committee during the past year, and Aite Gidey Bisheu, who is a standing member of the Ad-hock Committee, summarized and read it to the General Assembly. Following that the Queen Sheba Chapter representatives from many States had an opportunity to report on the activity of their Chapter and of their future plans. And guests had come from many Chapters: Atlanta, Chicago, Dallas, Denver, Houston, Las Vegas, Los Angeles, San Francisco, Washington DC, and other Chapters. Professor Desta Assayehegn gave some highlights of his project, the Technical School he built in Adwa, and addressing the General Assembly, he made bold proposals on how to make it even more effective than it currently is. Also among other issues raised was the Auditorium Project headed by Washington DC Chapter. The following day, July 3rd, the International Alumni Ad-hock Committee took the floor and started on the ratification process of the Draft Bylaws. It was Chaired by Aite Iasu Gorfu and Co-chaired by Dr. Dawd Siraj, with Eng. Almaz Fesseha and W/ro Genet Habtu taking the notes of the proceedings. Even though some minor corrections and suggestions to amend it were put forward, the Bylaws along with the suggestions were unanimously approved and passed by the General Assembly, without any opposing votes or any abstentions. That was a successful achievement. Following that was the election of Board Members into the International Alumni from nineteen nominees the Ad-hoc Committee had recommended. It was the result of many months of contacting, canvassing, and selecting of members from all over the US and Canada. Nominees who were present at the General Assembly stood up one by one, introduced themselves, and gave their word that if elected they would serve Queen Sheba Alumni to the best of their ability. And nominees who could not make it to the General Assembly had sent written statements with the same message and these too were read out to the General Assembly. The Bylaws had stipulated that only eleven of the nineteen nominees would be elected, but after a brief discussion in the House it was suggested that it would be better to elect all nineteen nominees since they all want to serve in the Board. There was no reason to refuse the service of anyone who volunteered to serve. So once more the General Assembly voted unanimously to elect all nineteen nominees into the Board. That was not all, it was also suggested that additional people should be nominated on the spot and added into the Board from the floor of the House. Several names were called out and forwarded to the Chair, but most declined giving various personal reasons and excuses, and only two people accepted the challenge. They were added to the Board, making a total of 21 Board Members. With that the Queen Sheba School International Alumni was officially established and launched with the full blessing of the entire General Assembly. In conclusion Aite Gidey Bisheu read a letter from H. E. Aite Sebhat Nega (Aboy) addressed to the General Assembly which said that he has been following the progress of the Alumni and would like to encourage the work. He stressed that Queen Sheba was in a sad state and called for the support of everyone. He said unity was essential and gave his blessings to the effort of reviving and uniting all Queen Sheba Alumni Chapters under one International organization. After the letter was read the Conference took about half an hour recess for a coffee break. After the short recess the Conference again came to order and the Chairperson, Aite Iasu Gorfu, thanked the Seattle Chapter for their hard work in organizing and hosting the entire event, and for giving the International Alumni the opportunity to launch itself. 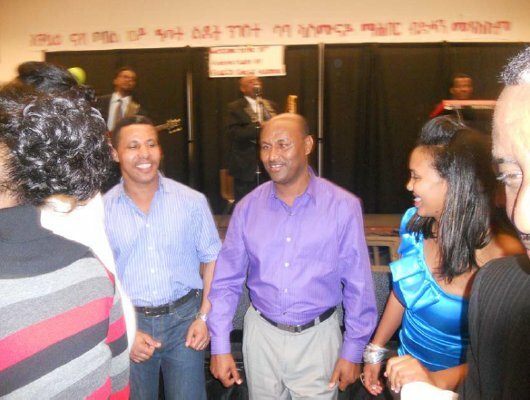 He then returned the podium to the Seattle Chairperson, Aite Berhane Belai, who introduced the next speaker, the Mayor of Adua, Ato Araya Mereid and invited him to the podium to update the General Assembly on the current status of Queen Sheba and of Adua. The Mayor delivered his speech and also presented a documentary video on the development of Adua. The meeting was then adjourned. After dinner the celebrations continued with traditional music and dance by the local Cultural Youth Association. A lot of fund raising activity also took place with the selling of t-shirts and baseball hats. The music and dancing continued on until the late hours of the morning and some stayed chatting and discussing the various issues and highlights of the day until 4am the next morning. On the 3rd day of the Conference, Sunday, July 4th at 10am, the newly elected Board Members of Queen Sheba International Alumni gathered to brainstorm and discuss plans on how to go forward. They also started an immediate pledge drive on the spot. After that meeting the Site Seeing Cruise was on schedule at 2.00 pm. Celebrations continued at the cruise over Lake Washington and Elliott Bay where pledges for Queen Sheba reached some US $32,000. At 7.00pm on Sunday the celebrations continued at the University of Washington Hall HUB. A closing speech was again given by the Mayor of Adua, Aite Araya Mereid, and it was followed with more traditional music and dancing for the rest of the night and late into the wee hours of the morning. 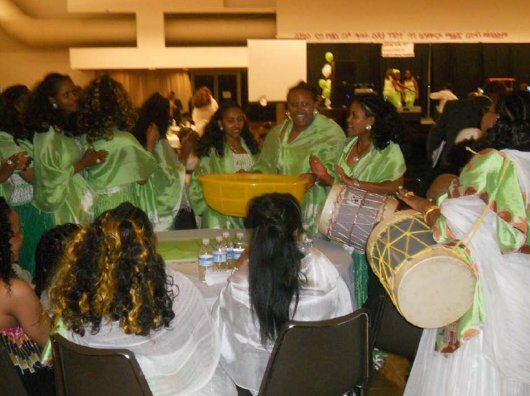 Traditional music for the entire weekend was provided by the well known artists: Tadesse Gebre (Wodi kokob) vocalist, Kedir Mebruk, guitarist, Tekle Berhan (Wedi Berbir) pianist, Yayne Abay, and others. It was just fantastic. This was really a historic and memorable event to be cherished and remembered for many years to come. 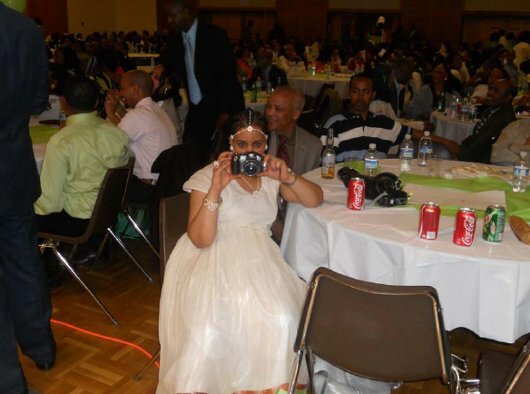 What made it special more than all other events was that here in Seattle and on this event the Queen Sheba School International Alumni was born. From here onwards, the squabbling between Chapters, we hope, will be a thing of the past and forgotten, and all will work together hand in hand as one single unit. After all, there is only one Queen Sheba School, and all Chapters need to focus on that goal. Unity is Strength. Let us now march forward as one!